Mythri Movies proudly announces that Pawan Kalyan Starrer Atharintiki Daaredi has grossed the highest in the overseas totaling to Rs. 20 Crores. Collections in USA as per Rentrak is about $2 Million, non-rentrak is around $300,000, totaling to $2.3 Million which is about Rs. 14 Crores. The collections in the other countries such as UK, Australia, New Zealand, Middle East region, Canada, Singapore and others has also been tremendously high when compared to any previously released movies which is more than Rs. 6 Crore. 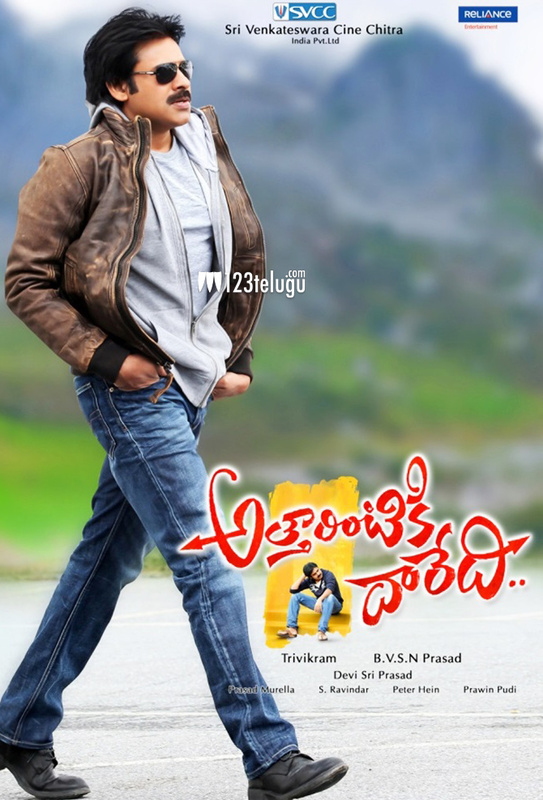 Hence the collections in the Overseas for Attarintiki Daaredi has grossed more than Rs. 20 Crore. We are very thankful to everyone in helping us make the movie tremendously successful in the overseas. We are very thankful to Trivikram Garu, Bhogavalli Prasad Garu and the whole team of Attarintiki Daaredi in trusting us and giving us the opportunity to distribute the movie overseas.